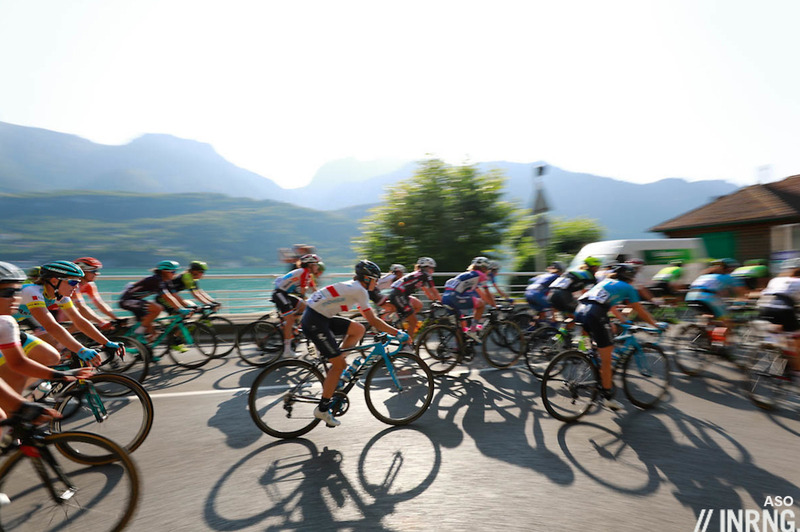 A quick note on the UCI reforms announced or reported on last week, whether the Women’s World Tour, tramadol bans or the sort-of reforms for men’s pro cycling. Skip this post if your eyes are glazing over already but it’s helpful to put some notes down. The first announcement was the reform to men’s pro cycling which is going to look a lot like the sport we know today. They’re all for 2020 and there will be a new series of one day races, probably about 15. 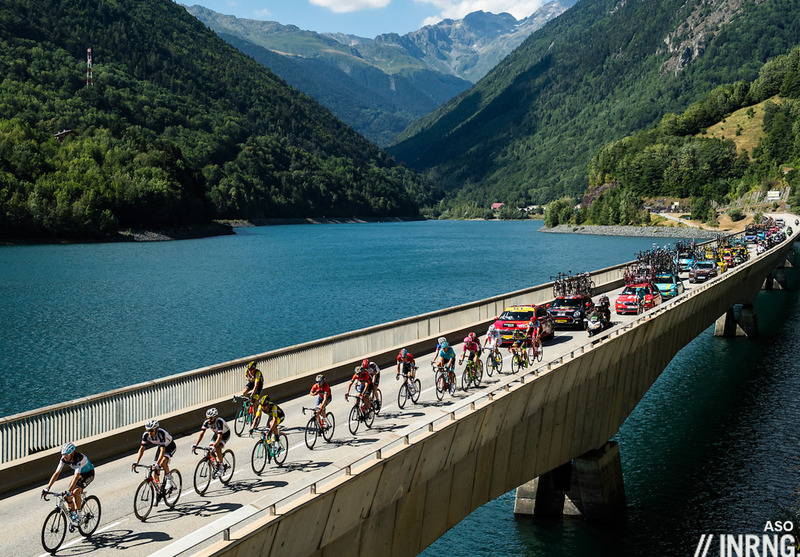 Novice cycling fans have plenty to find confusing and one of the rewards of following the sport is coming to appreciate the subtle differences between races, to know Paris-Roubaix from Paris-Tours, Milan-Sanremo from Milan-Turin. A series for the one day races will still contain huge events… and those inserted because a committee made a decision. But a series could allow for a sponsor, to brand it them under a label like the old Pernod Superprestige or the Perrier World Cup. Some labels are changing, for example the current system of .HC and .1 races will be relabelled as UCI Pro Series events which makes sense as even ardent readers of this blog might wonder what .HC means, literally a hors catégorie race, “beyond classification” despite being classified in between World Tour and .1 events. There has been a difference between .HC and .1 races in the amount of World Tour teams able to start each event, now this will be evened out. Similarly the UCI Professional Continental Teams will be rebranded as UCI Pro Teams. This makes sense as it matches the UCI Pro Series… but is bound to cause confusion, linguistically at least. Mitchelton-Scott and Cofidis are both pro teams but only Cofidis is a Pro Team, the new term for a Pro Continental team. Pro Continental always sounded odd but it had the merit of being distinctive, the Pro Teams label could confuse the average member of the public. 18 teams will receive a UCI WorldTour licence based on five criteria: ethical, administrative, financial, organisational and sporting. These criteria enable a comparison to be made between UCI WorldTeams and new candidates for UCI WorldTeam status. The open nature of the system and the acknowledgement of sporting merit are therefore assured. It is a question of combining the necessary stability with an open system. So teams will have three year licences but if they’re not performing then others can step up into the World Tour to replace them. As such this isn’t so much promotion and relegation as a means to cull weaker World Tour teams as there’s no mention of relegation to the level below, just that a team could be replaced. The two best UCI ProTeams will therefore have the right to participate in the Grand Tours; as a consequence, the number of wildcards distributed by organisers will be reduced. Similarly, the three best UCI ProTeams will have the right to participate in events in the UCI Classics Series and in other events of the UCI WorldTour. This quote explains the new wildcard method where the top two UCI Pro Teams – currently Wanty and Cofidis – will have the right, but not the obligation, to ride the biggest races. This is novel and quite a luxurious position and should become a valuable spot, a team able to build a strong squad to dominate the Pro Team ranks but without bothering to apply for a World Tour licence will get plenty of benefits, albeit at the risk of falling foul on the rankings if a star rider gets a big illness or injury. Still it should result in quasi World Tour teams – promotion candidates for 2023. We’ll see which teams exercise the valuable right to race. Also the UCI press release says “Some important details still need to be finalised for the reform to be fully in place for 1 January 2020” which means we’ve only got an outline sketch and it’s possible arguments flare up again as the details are discovered. Above all this is adjusting the existing system with labels for one day races, changing the name of the Pro Conti teams and so on. It’s not a revolution in the pro cycling business model. But the UCI can’t deliver this, it sets the rules on, say, sock length, rather than telling third party businesses like ASO and the teams how to run themselves. The women’s changes are the big news. The current “Women’s World Tour” really isn’t a World Tour at all, not for the geography but because the men’s World Tour we know is an ecosystem with its teams, professional regulations and a set of minimum standards while the women’s side is copy-pasted from the UCI Continental rulebook, cycling’s pro-am third tier. There’s none of the regulations that apply to the men’s World Tour or Pro Conti teams like bank guarantees, minimum wages, model contracts and other things that make men’s pro cycling professional. Now that’s changing – press release here – and the women will have a top tier with teams able to subscribe to the these regulations. It’s not compulsory but voluntary and shows a commitment from teams and sponsors and in return they will get guaranteed access to the biggest races. But we’ll see what comes next, for example at what level will the minimum wage be set. Going from zero to the same as the men’s €40,045 for 2020 is a jump and it looks like it will ratchet up towards the Pro Conti/ Pro Team level of around €30,000. The third bit of news was that Tramadol will be banned in competition from 1 January 2019. The UCI had asked WADA for help on this but the international agency declined so the good news is UCI is going ahead alone and will take a pinprick of blood from a rider’s finger for testing. Now for the bad news or at least the concern, L’Equipe reports this will be on the startline which is useful but it should be after a race too to be effective given the use of “finish bottles” and its use during competition. To test in the morning means the UCI can ask a rider not to compete on health grounds, much like the MPCC’s cortisol tests but to test on the finish line, ex post, is different legal matter as it could involve reversing a race result and that is a bigger deal so the morning testing is easier. So far this is just what has been reported on the margins of the UCI’s Congress and the Worlds and the detail remains to be seen but watch any precision on the startline or not. Change, although some of it is labels and rebranding, the gentlest of evolutions although all this is superior to warring with the teams, the UCI and the likes of ASO and RCS taking pot shots at each other in the media. Awarding the top Pro Conti teams the right to start the top races is a significant change but not one that is going to alter your viewing of the sport, just of interest to those watching how the system works. The changes for the Women’s World Tour are bigger and welcome, not just labels but marking the real move to professionalise the sport on an institutional level rather than team by team but we’ll see what the details are. The last set of UCI reforms for pro cycling came out in a fanfare in the press release only to see some items shelved in due course and with the details of some big issues still being worked on it’s likely things could change again. That tramadol is still around is incredible. WHO is about to recommend to the UN Commission on Narcotic Drugs no less than to place it under international control, and WADA is still not banning it. I agree and if the change outlined above is what gets signed off then the new Tramadol rule seems to me to really miss the mark. Is there any evidence that a test in the morning would affect many riders? Will this not just push those who would want to take something in the morning to try to push themselves to start without painkillers and then get a ‘finish bottle’ early in the race? For WADA it is not performance enhancing but has medical uses so they’re reluctant to ban it. Cycling has thrown up a lot of “positives” in screening so it’s more a cultural thing in our sport it seems. Not directly, but it is used to gain an indirect advantage. I think the correct decision has been made in respect of the method of enforcement, since it needs to be banned primarily on the grounds of safety rather than performance enhancement. The WADA system of sending samples off to a lab is too unwieldy to address this, and a test which can return a result instantly would be far better. An interesting parallel is the treatment of alcohol under the WADA system, which has shifted in the last few years. Alcohol was previously a substance banned in particular sports (air sports, automobile, motorcycling, powerboating and, slightly amusingly, archery) for similar reasons that we are talking about tramadol. In 2016 the FIM withdrew motorcycling from this list and opted to directly enforce alcohol detection using normal breath analysis equipment and their own regulations. WADA and the international federations of those other sports then agreed to do the same thing from 2018 onwards. It just makes sense. The goal should be to stop the tramadol-addled rider or the boozed-up archer from getting on their bike or stringing their bow, not to punish them after a WADA lab returns a result a few months after they took out half the peloton or shot someone. The UCI being the UCI, I’m sure they will stuff up their regulations on tramadol and only correct them after a humiliating defeat at the Court of Arbitration for Sport. Karate and 9/10 pin bowling were other sports which also switched to in-house enforcement of alcohol in recent years. Well if it really hurts you can still take tramadol. If it’s banned for archery, shouldn’t it be banned for rifles by the same logic as well (at least for 2.2 if not air rifle)? Maybe problem with archery is that you can do rapid shot whilst it takes a while to load a competition rifle? It is up to the federations of those sports to decide how to test for it. No sports have it banned through the WADA system now, they all handle it in-house. Same as the UCI will do (or at least talk about doing) for tramadol. I suppose one of the issues with alcohol is that it’s not really performance enhancing at all. So more something for individual sports to deal with as a matter of safety, rather than WADA as an anti-PED matter. tramadol is a potent opioid and can pose serious health risks to users. there is surely an ethical consideration (for the doctors prescribing it as much as anyone – and if doctors are not prescribing it then it is being used illegally, in general terms) in continuing to allow its use in sporting contexts, whether or not there are any performance enhancing effects. masking pain (and therefore allowing greater exertion) could be considered performance enhancing and in any case anyone taking tramadol should probably not be riding a bike at high speeds. on this basis it should neither be prescribed nor permitted to be used. Especially as it often comes with a warning not to operate machinery. But in cycling it has been abused with caffeine to counter the drowsiness. Good they will test for it. Whilst not disagreeing with the Tramadol ban, I find it bizarre that caffeine is not also monitored. I know that historically this has been tried (banned then not banned if memory serves) but when it is quite clear that people are essentially medicating themselves with caffeine products (yes, even as innocently as with strong coffees) it does rather make a mockery of things in my view. I suppose it depends where you see the cut off line being. With athletes who use mild inhalers we sometimes never hear the end of it. Using caffeine in also apparently innocent ways is no less of interest, imho. The thing is, caffeine doesn’t have the same drowsiness effect of Tramadol, plus the boost to performance of caffeine is questionable. Tramadol can be linked to dangerous riding, yet the majority of cyclists drink coffee/caffeine all the time, so there’s no way to accurately tie it to dangerous riding. Plus, cycling is intrinsically tied to coffee stops, coffee sponsors, etc. You’ll never get past the appearance that caffeine is banned and therefore cycling is saying coffee is bad for you (people will make that link). The effectiveness of caffeine is actually pretty well documented. It’s in the AIS group A of supplements which are the ones with the strongest evidence. Banning it (again) would be tricky I think because it’s so “normal” and part of our society, whereas not many people meet up for a Tramadol. What I can’t understand is why they take tramadol, the times I have taken it it made me act very silly for about 20minutes then I fell asleep, dread to think what would have happened if I was on a bike. I wasn’t necessarily tying it either to the drowsiness or danger issues. Rather, I meant that it is a stimulant. Why else was it monitored before? If it has no effect then why are riders drinking so much coffee, having caffeine gels, etc? At the end of the day people put any number of chemicals into their bodies for varying different reasons. Drug regulations try to say which ones shouldn’t be there as there is no good reason for them to be such as it being food or it being genuine medicine. But there will always be blurred lines in both cases. if caffeine isn’t performance enhancing then presumably no one would mind if it was added to the “do not take” list. But I suspect some would because, right or wrong, they think it is. It does have an effect. But it is a limited boost and definitely overdoing it on caffeine has a detrimental effect. In many people who drink too much coffee on a regular basis the caffeine has zero benefit so it doesn’t make sense to spend money policing this. As you say, it has been banned before (the threshold was roughly 8 cups of coffee), which had the amusing effect of Red Bull’s F1 drivers being unable to consume their sponsor’s product. But then it came off the list, because of difficulties in enforcement, and now they’re considering putting it back on. As you say, people put all sorts of chemicals in their body all the time. Almost everything is either performance enhancing or impairing if taken in sufficiently large doses. (Glucose and water being two of the most performance enhancing substances.) In the case of caffeine, it’s plainly performance enhancing, but it’s also a key component of the world’s most widely consumed drink, which nobody would consider “unethical” to take. So there is a bit of a balancing act for WADA. Red Bull F1 drivers didn’t have a problem with that, the team only starting the year after caffeine was removed from the Prohibited List and a can of Red Bull having less caffeine than a half-decent espresso. They would have been glad during the Vettel-Webber years that motorsport doesn’t use the UCI definition of ‘in-competition’ though, as alcohol was on the WADA Prohibited List back then (now directly enforced by various sports). Coffee being labeled as a performance enhancing drug is the best Red Bull can happen for. They’d love it and I can imagine coffee sponsors, too. Such measures have boosted Red Bull’s sales consistently over the years, as “performance enhancement” is exactly the reason why an 18 year old clubber is drinking it. Coffee = Sold by smirking snake oil spivs as overpriced gut rotting garbage favoured by cowboys and modern day desperados trying to justify their ridiculously over engineered lifestyle. Haha! That nearly made me spit out my coffee..
It’s up to the athletes to take care of their own bodies, they are adults at the end of the day. It’s not WADA’s responsibility to monitor health and safety. If you cause a crash that brings down other riders (side effects of Tramadol are drowsiness) then its not only your own health and safety that is affected. There is quite a bit of chatter regarding Tramadol causing crashes in the Peloton. That surely is WADA’s job? Anti- doping started out to protect athlete health, to prevent episodes like Simpson on Ventoux, rather than other notions like fair play. If a rider needs Tramadol perhaps because they have a fracture, then they also need rest and recovery too? This is exactly the point that makes me question the majority of TUE’s. Surely a prescribed painkiller is also given along with an instruction to rest and recover. Racing is hardly what’s best for rider health if the rider is in a state that requires tramadol. Four world tour riders for a low five figure sum? Even a high five figure sum (99k€ or £) would result in salaries below UCI minima, and that without integrating other employment costs. Fixed it, thanks. We’ve seen teams shrink this year, they will go back up now but there will still be a premium for versatile riders who can multitask in a stage race, think Kwiatkowski, Naesen or Amador. Four world tour riders for a low five figure sum? Even a high five figure sum (99k€ or £) would result in salaries below UCI minima, and that without integrating other employment costs. Does Inner ring mean a low six figure sum? Automatic places for the top two Pro (Conti) teams seems to be a sporting gesture. But is it? Cofidis are a French team who sponsor the Vuelta very prominently. They therefore have good reasons to expect to be in both anyway. Being in the top two only gets them access to the Giro. Being in the same position gets Wanty a lot more since they aren’t even French so might get some crumbs (they have appeared in recent Tours) but can’t rely on much else. The biggest losers would seem to be any other French teams below the top level. With even less wildcards now on the table only one of them is liable to be picked they they, as a whole, struggle to make the top two. So it would be, for example, Direct Energie OR Fortuneo not both and. Signing for a French team hoping they’ll be in the Tour just got a bit harder. Ask Bryan Coquard. I have two questions about the options to ride the GTs and the WT events. Is it that the two or three teams on top of the ranking at the end of the 2019 season win an option that is valid for the entire 2020 season? Or will the current ranking at certain set dates during the 2020 season be used to decide which teams will have that right until the next ranking date? The second question is more frivolous. Would this new system have guaranteed Aqua Blue Sport the much coveted places in GTs oir WT races? In other words, was that team ever in the top two or three in ranking? Nope, they were way down on a two-digit the rank. With hardly a chance to get closer to the top. There wasn’t much success despite rare stage victories. The changes in the men’s side of things seems like a small step towards a promotion relegation scenario. Offering the two 2 ProConti teams an option to ride the grand tours, based on performance. Plus a potential cull of under performing WT teams after the end of their three year license. I think these are some good stepping stones to a promotion relegation system. One that rewards investment in the team. It is my hope that in a post-reasoned decision era, teams can be trusted to promote performance through technical and professional avenues. I think this change from the UCI reflects the cultural change in cycling that is occurring gradually. An interesting suggestion but I did read someone the other day saying the two places up for grabs in grand tours would encourage pro conti teams to cheat all the more as they now had a tangible prize on the line as a consequence, i.e. they get into all three grand tours. There’s pressure to get results all the time, if anything knowing there is something you can plan towards rather than having to put on spectacular shows could be safer, no? How many pro-conti teams would want to race all three Grand Tours anyway? It’s a big commitment in riders and logistics, and they may not necessarily have much sponsor interest in all markets. For the bigger pro-conti teams like Cofidis, two is probably ample – Tour de France and Giro or Vuelta according to where their sponsors are based. It could backfire to the detriment of smaller teams: for a small Spanish or Italian pro-conti team, a ride at their home tour will be a highlight of the season in terms of exposure. Giving less scope for organiser discretion while the big teams scoop up the available spaces may make running a smaller pro-conti team even less viable if the chances of riding the home grand tour are decreased, while the places goes to bigger, but maybe less motivated, team. Now that the Giro is broadcast in France, I imagine that Cofidis would at least give some thought to the possibility of taking up their place there. The reaction of RCS to having an invitational place taken away by an automatic invite could well be to request seven rider teams for the following year’s race, allowing them to have 25 teams (18 WT + 0-2 automatic PT + 5-7 invitational) and still meet the 176 rider limit. Cofidis also have business in Italy too these days as well so they may want to do the Giro. They are also talking about the World Tour too but being the top team in the second division may suit them just as well. On the woman’s side, I am very pleased to see the introduction of a minimum wage. This is long overdue and demonstrates the UCI backing of the female side of the sport. It will drive further professionalization of the sport and is likely a result of the equal prize money introduced by a number of races recently. If it results in more Anna van der Breggen’s this will make the female side even better to watch that it already is. I hope the teams/sponsors see it the same way and step up. Agreed – any measure that boosts the middle of the women’s peloton is essential. Races that are determined 20 minutes from the finish are boring and can only be prevented when you get a Hayman Paris-Roubaix type situation. Ie. races that are unpredictable enough because domestiques are strong enough to contend when things go right. I don’t think you could make that argument about women’s racing. The World Champs was over when the second favourite crashed out of the race this year, I didn’t even bother reading any further once I found out she was out of contention. I dream of a world where my daughter or her friends could watch a women’s race that was exciting enough that they (and you and I) want to watch the race. The only way to do so is to build up the sport as a whole. Right now only the top riders get real attention/resources. Given your thoughts recently, Richard, I imagine you’d prefer ten 260kms races? Whilst chomping on chocolate. There arent that many that long, but that’s what you need to be a proper classic in my eyes. If it was up to me it would look something like Omloop (200? ), Strade Bianche (175), MSR (298), Gent-W (250), Flanders (260), Amstel Gold (250), LBL (275), San Seb (200? ), Cyclassics (dunno), Paris-Tours (250), Lombardia (250). Basically all the big one day races that happen on a weekend. I could be persuaded to take Omloop out to make it an even 10. But also could be persuaded to put Flèche in even though it’s only 200km and on a Wednesday. I’ve no interest in Cyclassics either way really. As for the chocolate, as much as I like it obviously I have to abstain most of the time. Or I wouldn’t be much of a cyclist. Cyclassics? This 20 year old boredomfest don’t belong in your list. I needed another for the between Tour and Vuelta slot, and London-Surrey is no better. Ideally Zuri-Mezgete would fill that hole but that’s been dead a fair old while now! That part; ‘will be defined with the stakeholders’ is a killer. If you spent lots developing the Flanders Classics and lining up all the coverage, sponsors and hospitality you are going to want a lot of cash to have a load of top-line sponsors parachuted in by the likes of UCI. It did nothing to help when the races nearly died out so there’s going to be some tough meetings and impossible conditions to meet before UCI gets its Classics Series into a saleable proposition. Richard S – I disagree. The cycling season is too interesting and varied to lump into 8, 10 or 15 races. Plus, as important as WT or ‘whatever series name’ points are, the wins and type of wins are still way more important. Cycling is one of those sports that fans need to experience for years before they can truly grade each riders’ quality. World Tour, World Cup, Random Cycling Series points, etc. don’t really measure this accurately. WADA simply isn’t interested in taking drugs out of cycling. The UCI should stop the sexist nonsense that limits women’s races to ridiculously – and frankly insulting – short lengths. The problem with having a ‘classics series’ is that you could see a rider racing for 4th – and not to win – in (say) Il Lombardia, because that will ensure their victory in the series. The great thing about one-day racing is that everyone is racing to win. The tramadol decision is the correct one. For a substance which will be banned on safety grounds you want to be able to make a decision immediately on that to prevent the rider from taking the start, not wait for a WADA lab to send back an analysis some time later. WADA and a number of international sports federations have taken a similar approach to the regulation of alcohol in recent years, swapping from WADA enforcement over to in-house enforcement which can return a result on the spot. Far better to stop a drunk rider from getting on their motorbike in the first place than to confirm they were drunk some weeks/months after they crashed and killed someone, no? Tramadol is on the WADA Monitoring Program, so there is still a possibility of it being entered on the Prohibited List at some point. But even if that does happen, cycling should still keep their in-house enforcement system to deal with riders before they cause a problem. Take tramadol in your ‘finish bottle’ and you won’t be caught. So, in fact, you can take as much as you like during a race – with all the dangers that entails. If you knew you might be tested at the end of the race, that might stop you from doing it. This prevents precisely no-one from using tramadol during a race (unless the tests are sensitive enough to catch you in the next race). Being on WADA’s watch list means nothing – and it’s been on there for years. WADA haven’t even banned dangerous PEDs like glucocorticoids out of competition. One would hope that the act of banning Tramadol will eliminate 99% of use independently of testing or risk of being caught. As for the verification, it can apparently be detected in the finger prick test on the start line but will it also show up and be tested for in post race urine and blood samples, or a further finger prick for the top three? The finger prick test should be able to detect the use of tramadol during the previous stage. There’s also no reason that the finger prick tests couldn’t also be used at the finish line of one day races. Or did the teams really score a big win with that move? The UCI recommendations were completely different to what was eventually passed. It would appear that the organisations representing the teams, riders and races got together to hammer out a compromise that gave something to each of them, and then presented it to the UCI as a done deal. (1) Many of the rules seem to be a balance between the “extreme” views and a middle ground. The teams were hoping for some new business model and that hasn’t happened. (2) It will be interesting to see if the Series (besides the GTs) can hold together and sell their two blocks of races as a package (acknowledging the free “over the air” requirements). (3) Some of the media announcements mentioned that WT teams would have to race all the WT races. This would present a challenge to US based Pro-conti teams as it would limit access to the Tour of California. I suspect they will figure out a workaround. (4) The Point system is also getting changed to include all the races. While we don’t know the UCI points for the future types of races, we do know the current system. As such there are a ton of points available in September / Oct in .1 and .HC races – that are arguably easier to get than the rest of the year because they overlap with other races. This may encourage teams to put less emphasis on some WT races. We will have to see what will happen regarding the mandatory participation in all WT races. Some stories say it is all races, some say it is still just mandatory for the races which were at WT level before the expansion. The Tour of California will have to work out some sort of plan for expanding the race though, because there’s also the mandatory invitation for the top two ProTeams. Perhaps a request to make space for extra teams by switching to 6 riders per team could be on the cards. One Pro Cycling has abandoned plans to form a UCI Womens team for 2019 due to lack of sponsorship interest. Better luck for 2020 then!! Could the minimum wage for Women’s professional cyclists actually harm women’s cycling? Whilst I don’t wish the woman to be treated any differently from the men, could it be that there as DS’s out there thinking that their teams wage bill is about to increase significantly next year if they continue with a woman’s team so why bother? Are there incentives from race organiser or the UCI to have a woman’s team? It only applies to Women’s WorldTeams, a new structure yet to commence operations. Team which can’t/won’t pay it will stay at Continental Women’s level where they can have a mix of professionals and amateurs on their roster and there is no minimum salary for those riders who are professionals. Exactly. Teams can opt-in to the system and yes there are higher costs but their sponsors might be happy to pay and they also get priory entry into the big races. The challenge is going to be extending this beyond a handful of teams.